As you progress with introducing your baby to solids foods, you’ll want to keep introducing new things and lots of variety. Children of this age are really open to trying new things and it’s a great idea to introduce them to as many different things as possible, including finger foods. The rate at which your baby will progress with weaning depends on your baby and how old they were when you started. You can introduce them to more tastes as you feel they are ready. It’s quite easy to give them what you are cooking for your family and just adapt it for them. For example, last night, we had pasta and I gave my 8 month old baby pasta and peas whizzed up with some cream cheese. You can pretty much whizz up anything, just add some boiled water to thin it if it’s not the texture you want. If I make stew, I’ll take some out before I add the stock, which may seem a bit backwards, but you can adapt your cooking. (Or you can make home made stock with no added salt). In fact, your taste buds adapt to the amount of salt they are used to so if you reduce the amount of salt that you cook with, you will find that you don’t need as much salt. 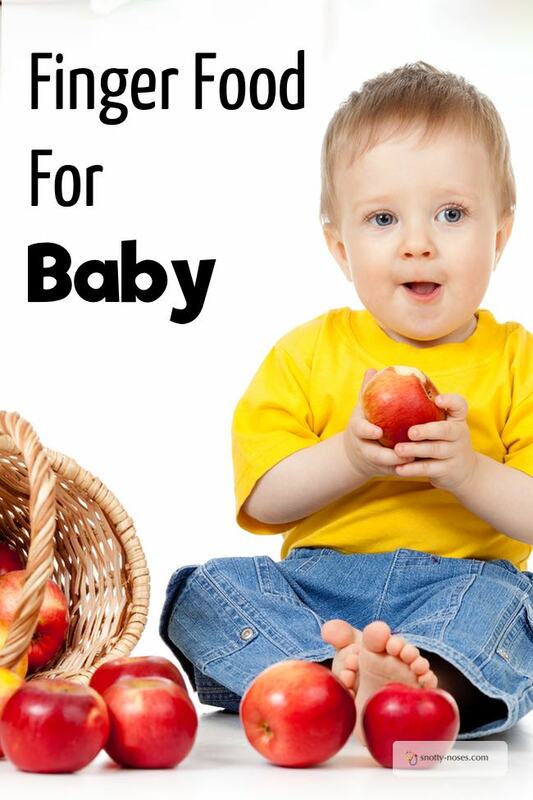 Gradually you can increase the types of food that you give your baby. Introduce protein in the form of meat, fish, pulses and eggs. 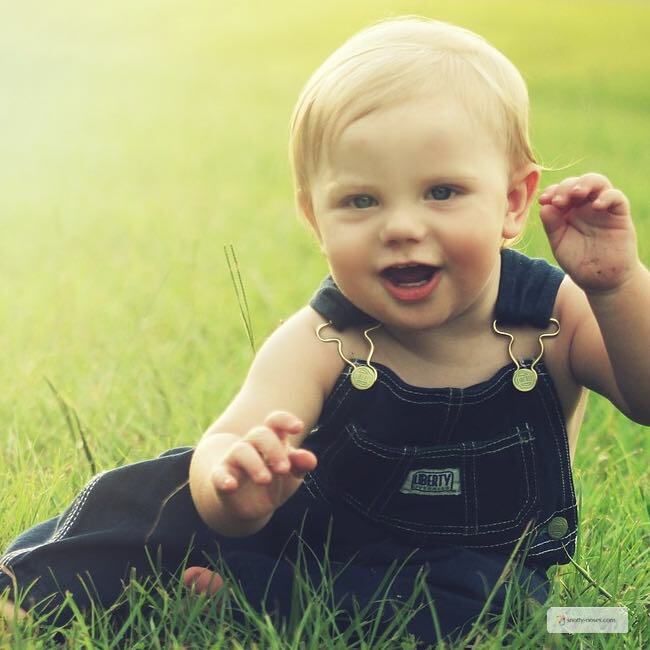 From about 9 months, babies should be having 3 meals a day with snacks. Introduce lumpy food as well. Lumpy foods should be introduced by about 10 months, but it’s fine to do it earlier if you think your baby will cope with it. You can gradually increase the lumpiness of the food. For example, begin by not whizzing the purée so smooth. Then you could add little bits (e.g. small bits of pasta) to smooth food or use a fork to mash things rather than a blender. It is really important to introduce lumpy foods so that you don’t miss the window. (Obviously if you’re doing Baby Led Weaning this isn’t a problem.) If you leave it too late, your child could develop an aversion to lumpy food and will end up on a diet of smooth soup and yoghurt. If your child doesn’t seem to like a particular food, that’s fine, don’t make a fuss about it. Just keep presenting it to them but don’t avoid it altogether. Before the age of 2, children have an amazing capacity to try new things (after that ‘don’t like it, don’t like it’ will echo around the house). It has been shown that forcing a child to eat a particular food will decrease the liking for that food and that restricting access to particular foods increases rather than decreases preferences. By contrast, repeated exposure to initially disliked foods may break down resistance. It is important not to make a fuss about eating at meals times. Many children go through a phase when they don’t want to eat anything. In our developed world, they are not likely to starve. Have a think about what they eat during the day. Are they having lots of milk that will mean they are not hungry? Or are they filling up on biscuits and other snack food? If you make a fuss about mealtimes, meals may become a battle (which they will win). Remember that the types of foods your baby gets used to will be the types of food that they will like when they're older. So, it's really important that you get them used to eating healthy foods now. Encourage fruit, vegetable, fish, meat and starchy foods. Avoid biscuits, chocolate and sugary treats. Babies love putting everything in their mouths. They explore the world by seeing what it tastes like and what texture it is. What a perfect opportunity to help them explore by giving them something edible to explore. Anything they can hold in their hand and are not going to choke on is suitable. Start with a crust of toast, or some fruit. Soft pear is perfect as some fruits can be quite hard. Banana is good if they can grip it but it becomes really slippery (and turn black in the washing machine). Make sure you peel things as they can choke on the skin. You can give them boiled vegetables such as carrot or a lump of potato, hard boiled egg. Things like rusks and baby biscuits often have sugar added. I often get adult rice cakes that have no salt added, just break them in half. All babies should be given finger foods, whether you do Baby Led Weaning, or the more traditional puree type weaning, it's important to give them some control and allow them to explore foods by themselves. It’s a really good idea to feed your baby with the rest of the family as often as possible. Not only does this teach them etiquette and how to behave at the dinner table, it encourages them to eat as they see other people eating around them. It is also a lovely sociable experience to spend some ‘family time’ together. I realise that it is difficult for many people whose partners get home late. In that case, sit and eat something with your children at their dinner time and use the weekends to have proper family meals together. I know ‘lovely family experience’ can seem like a million miles away at times. Dinner times with toddlers is a slightly different experience. It’s not unusual for food to go flying and the noise levels to rise. Enjoy it! They’ll only be little for a short time.